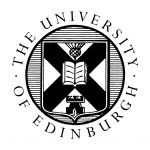 DiscoverED, the University of Edinburgh’s new one step information, discovery and delivery service, is now on-line and fully operational. You can request Library Annexe items using the new service; all you have to do is sign in and find the items using the search bar. As well as books, DiscoverEd will search ebooks, ejournal articles and more. You can read all about DiscoverED at the links below.